Founder - George Mentz Esq. 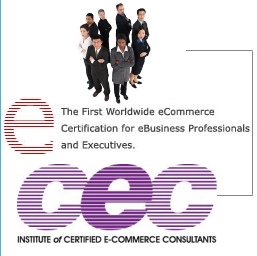 Welcome to the CEC International e-Business Organization Website . This page illustrates the credentials of the CEC Chairman of the Board of Standards - Prof. Mentz. Dr. George Mentz is a licensed attorney and is trained in International Law and Business. Mentz has an earned MBA from an AACSB Accredited Business School and holds a Doctorate Degree or Juris Doctorate Degree from an ABA Accredited USA Law School. Prof. Mentz has held faculty appointments and credentials in Silicon Valley, Miami, Chicago, Denver, Dubai, San Diego, Singapore, and The Bahamas. . Prof. Mentz is a consultant providing expertise to Fortune 100 companies in globally. Mentz is first person in the United States to achieve "Quad Designation" Status as a JD, MBA, licensed financial planner, and Certified eCommerce Consultant. Prof. Mentz has authored/published over 15 Books and has been featured or quoted in the Wall Street Journal, The Hindu National, El Norte Latin America, the Financial Times, The China Daily, & The Arab Times. His research, publications, and speeches have been syndicated into over 100 countries. Prof. Mentz has recently been elected to the advisory board of the GFF Global Finance Forum in Switzerland, the World E-Commerce Forum in London, England, and the Advisory Board of The Royal Society of Fellows. He also is on the Advisory Board of The ERISA Fiduciary Guild. Mentz was President of the Graduate Leadership Institute which has a focus on e-Business. Mentz is one of the First Lawyers in the USA to be credentialed and compliant to teach law in all 50 states in law school, graduate and undergraduate colleges and universities. Holds professor faculty appointment at Graduate LLM Law Program along with being granted Professorship from the American Academy by the Global Board of Trustees. Prof. Mentz has established Training Centers and Alliances over 20 Countries around the world such as: Dubai, China, Mexico, Beijing, Chile, Brazil, Singapore, Taiwan, USA, Bahamas, India, Athens, EU, India, Africa, Vietnam, The Bahamas and more. Prof. Mentz has recently been awarded 2 National Faculty Awards, a Distinguished Faculty Award and a Meritorious Service Medal for Charitable Service. In 2007, Mentz was also recipient of the Distinguished Faculty Team Award. Prof Mentz has taught over 120 college and graduate courses in his faculty career including: e-business , internet marketing, and internet technologies. Mentz recently consulted with the US Department of Labor on the Industry, Careers, Job Outlook, and Employment Trends. Prof. Mentz attended law courses at William & Mary School of Law and Tulane Law School. Completing civil law studies in Madrid Spain, Sao Paulo Brazil, & Cuernavaca Mexico for Juris Doctorate work. International Legal Studies Certification Recipient- Satisfying all of the requirements for the CILS International Law Graduate Program Specialization Certification . M.B.A. courses and experience with Catholique University Graduate School in Belgium. Completed courses and Lectured at Katholieke Universiteit Leuven. Mentz has been awarded several other Honorary Doctorate Degrees for his research, publications, service, and academic efforts.